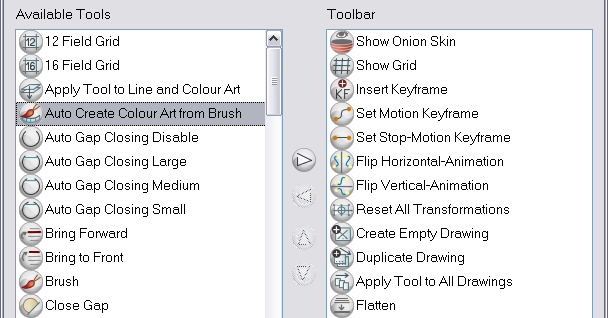 The View toolbars can be customized to contain your favourite tools and options. Use the Toolbar Manager window to organize your different toolbars to suit your working preferences. 1. Right-click on the chosen toolbar’s anchor point. 2. Select Customize from the pop-up menu. Right Arrow button to add it to the Toolbar list. 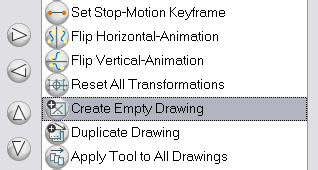 Left Arrow button to send it back to the Available Tools list. 5. To reorder your icons in your toolbar, select the command to be moved in the Toolbar list and click on the Up or Down Arrow buttons to move it to the correct location. 6. Click on the OK button when you are finished.